Visit this drive-thru Wildlife Park and get an up-close look at some of Northern Arizona's most well-known animals! Take the historic train to the Grand Canyon. Leaves Williams every day at 9:30 a.m. and returns from the Canyon at 5:45 p.m.
Want to visit the Grand Canyon on your own schedule? Just an hour north of Parks Feed and Mercantile, experience one of the Seven Wonders of the World! Hike down, or just check it out from the rim. Either way, it's a must-do for everyone during their life. Enjoy scenic views while getting in 18 holes for a reasonable rate. And of course, make sure to look for the giant rocks that give the course its name! Another beautiful golf option in Northern Arizona is Continental Country Club on the east side of Flagstaff. 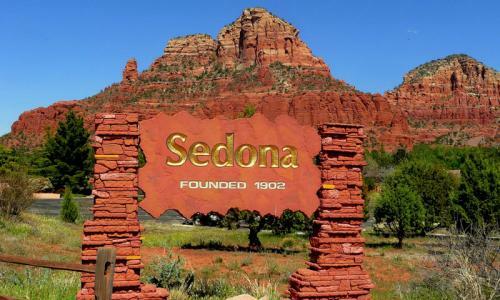 Take in the breathtaking scenery, great shopping, and plethora of hiking trails by visiting the red rocks of Sedona. No better place to go in the winer months in Flagstaff than Snowbowl! Get up there for skiing and snowboarding. Even in the spring and summer, check out some great hiking trails and take the lift up to the top of the mountain to get a bird's eye view of Northern Arizona.